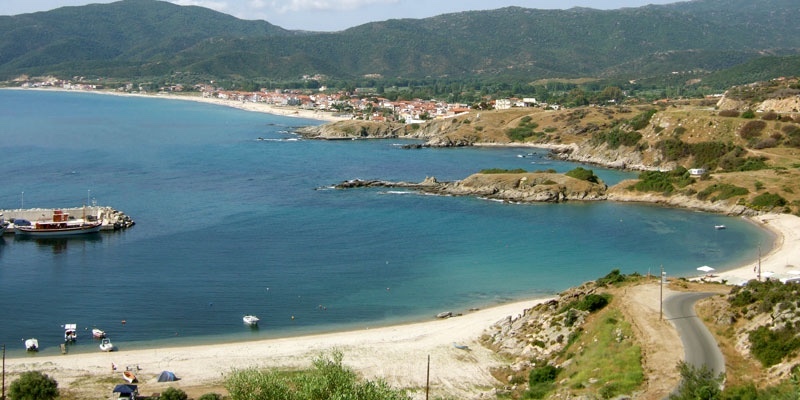 Achlada beach is a couple of coves on the north end of Sarti beach. If the waves are too much for you in Sarti you can come here and find calmer waters. One beach has a large concrete pier that protects from waves and is a marina for fishing boats. There is no beach development on any of these coves so you will need to bring your own equipment. Some campers come and put up a tent or park a caravan. The beaches are sand and the sea bottom is also sandy with nice shallow water. This is a popular place for ones who want a change of scenery from Sarti and is good for families. Sheltered bays with calm, shallow water. No crowds. 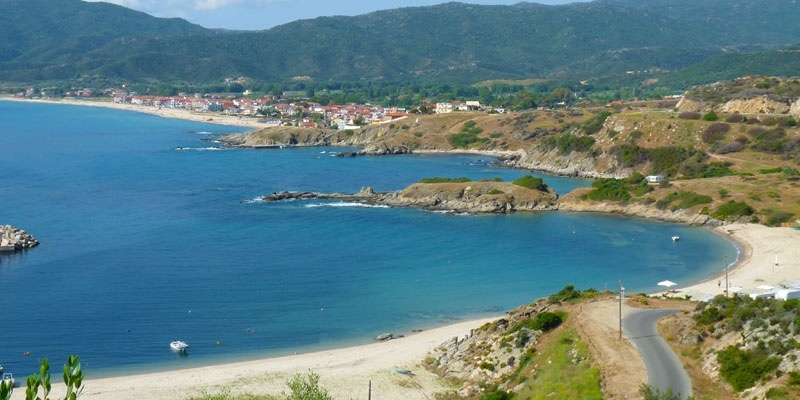 Just north of the village of Sarti, from the main Sithonia road is a turnoff that gives you easy access to the beaches. Very different style of beach from Sarti. Very calm shallow water.